They’ve asked the FCC to refrain from taking action, whether approving or striking down the merger until they can complete their own reviews. The FCC is now on day 33 of its 180-day shot clock review, and did not signal if they would halt their review or wait for the other agencies to complete their reviews before rendering their decision. The Department of Justice (“DOJ”), including the Federal Bureau of Investigation (“FBI”), with the concurrence of the Department of Homeland Security (“DHS”), requests that the Federal Communications Commission (“Commission”) defer action on the above-referenced matter. DOJ, DHS, and FBI (“the Agencies”) are currently reviewing this matter for any national security, law enforcement, and public safety issues but have not yet completed that effort. We therefore request that the Commission defer action until such time as the Agencies notify the Commission of the completion of their review and, based on the results of such review, request appropriate action by the Commission. DOJ, FBI, and DHS will advise the Commission promptly upon completion of our review. “national security, law enforcement, and public safety issues”? wtf? Standard stuff, it’s owned by an international body which is partially owned by the German government. Very true normal proceedings. This merger would be fine. The FBI is there to make sure the CEOs of T-Mobile and MetroPCS are not sleeping with any socialites. Little known fact** Bin Laden was using a MetroPCS Galaxy S3 in his compound. **Facts may or may not be in fact, factual. How did he get it before its release? NSA but why FBI. Or is the NSA asking the FBI to do the investigation. AND how does this pose a security threat vs. Japan’s Softbank investment in Sprint. Does T mobile or Metro have any strong contracts with the US government or some part of the government that has no three letter acronym? I wouldn’t bet against the idea that the exact same kind of grilling will be used with Sprint and Softbank. This is standard when an international company is involved, but its probably also because Deutsche Telekom is also owned partially by the German government. I don’t know when the relationship started, but Vodafone owns a significant share of Verizon (45%) and Verizon is in a position to buy them out at anytime. Not as big as what DT would own. I don’t think there is a precedence for the FBI to be part of an investigation. Congress stepped in with Huawei and ZTE, with a baseless investigation when Sprint decided to use Chinese made equipment. Actually Verizon owes A LOT of $$$$ to Mr. Vodafone. If they paid them off their rebuilding process would need to be slowed down. Vodafone is the reason Verizon accelerates everything. yup Vodafone has big money. Verizon is issuing them a dividend of 10 billion or so before EOY. BUT they are making a ton of cash. It’s also because of emergency networks for natural catastrophes and terrorism, which would involve national security, law enforcement, and public safety. 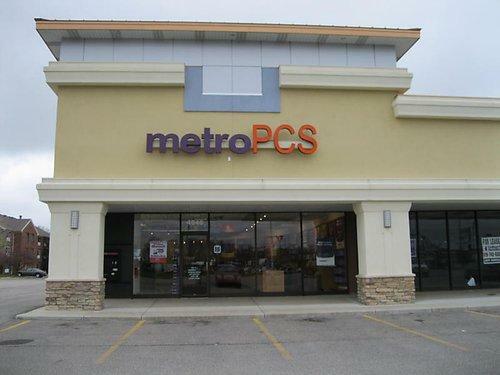 FBI involved in the purchase of Metro pcs? Come on it’s not like Carlos slim is the one buying Metro pcs! Whats next? Nasa is going to check if it will interfere with Mars landings. As David has said, this is standard operating procedure for a foreign-owned company in this industry. I can add that DT already received such scrutiny the first time when it entered the US market and subsequently with add’l acquisitions. This action is required of these agencies but DT and TMO have already crossed the ‘t’s and dotted the ‘i’s so to speak. There’s probably not much more to review here than what’s already been reviewed in the past.